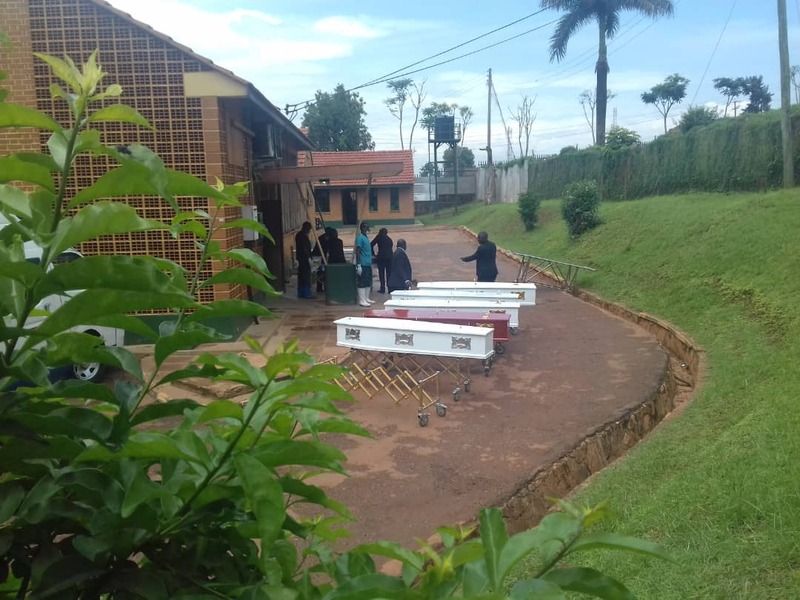 RAKAI – Remains of nine students killed in the fire that gutted St Benard SS-Manya in Rakai District on Sunday night have been handed over to parents for burial after police completed DNA tests. Addressing journalists at Mulago hospital mortuary on Thursday, Police pathologist, Moses Byaruhanga said their findings show that the deceased suffocated due to heat before they were burnt to ashes. “We have successfully identified all the nine bodies of students killed in Rakai fire and result much with the respective parents. Our examination has shown that these students died of too much heat and suffocation before they were burnt. I led the team that conducted this examination with the help of two pathologists from Mulago National Referral hospital,” Dr Byaruhanga said. It was a moment of grief as wailing parents picked up the remains of their children. State Minister for Primary Education Rosemary Sseninde saw off the nine ambulances containing the caskets. “It is unfortunate and painful to see our young children die in such an incident. These could have been important people in the future. We ask the parents to remain calm as police conduct its investigation,” Ms Sseninde said. The minister revealed that government will cater for burial expenses of all victims and promised that the incident would be investigated extensively to ensure whoever was involved is brought to book. One of the parents of the victims, Ms Teo Dorah Aliganyira, could not control her emotions as she regretted why she shifted her son from Kyotera Vocational SS to St Benard SS in January. “I wanted my son to perform better but I now regret why I did not keep him at his former school. I wanted him to be successful. I wanted him to achieve his dreams. I regret my decision. He should have stayed at Kyotera,” Ms Aliganyira said. Mr Mathias Mulumba said his nephew Emma Kasozi had spent only two months at St Benard SS. “Our boy had just joined that school. He had not even spent a term in it. We are speechless. We wish there was a way we could know that this was to happen. 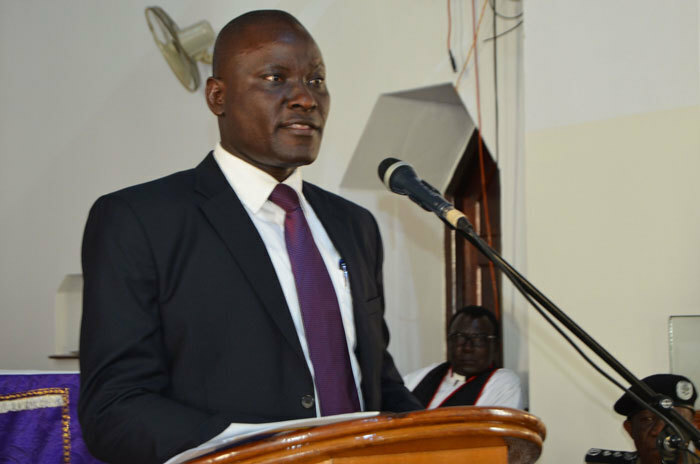 We would have kept him in his former school,” Mr Mulumba said. 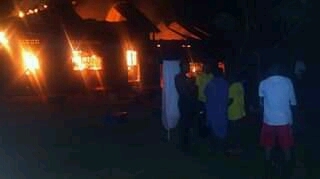 The fire is said to have started by students expelled from the school. Several suspects have been arrested.